Hardin County Jesus Cares is a 501(c)(3) nonprofit organization with a mission to help families achieve stability and overcome crises by supporting them in their transition period. We understand that everyone needs a little help sometimes and our nonprofit organization was founded to combine local church and community resources to better serve families in Hardin County experiencing a financial crisis. 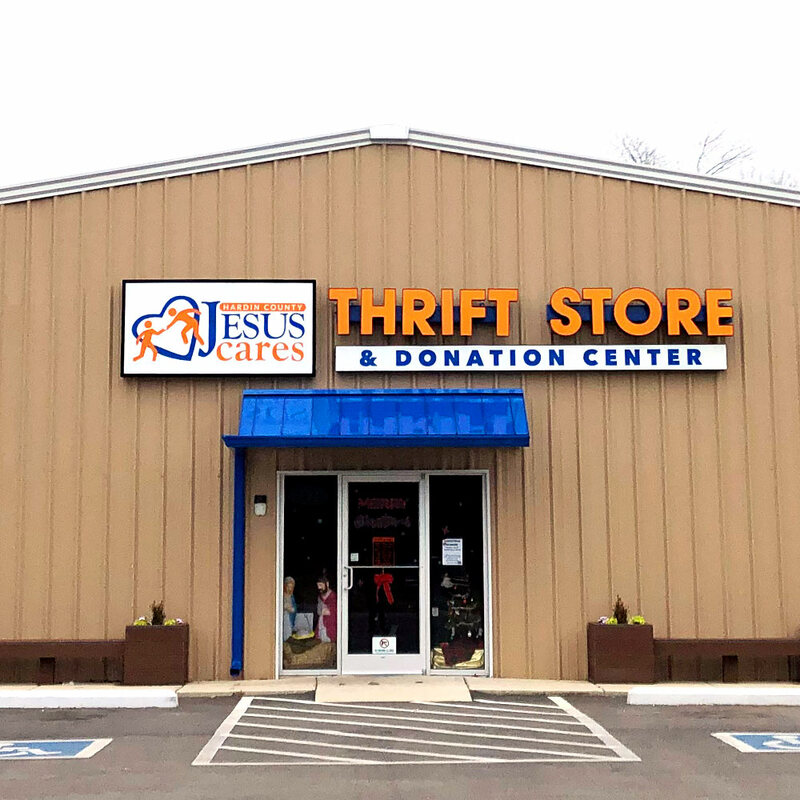 We are primarily staffed by volunteers and serve as a helping hand up, funded by monetary contributions and proceeds from donated items sold in our thrift store. Making a donation helps change lives. Take action by contributing your time. Donate your unwanted items to our thrift store. Shop for great deals at our thrift store. Generosity from churches, non-profit organizations, local businesses, and families is how we keep our doors open to help those who need it most. We are grateful for the passion in our community to co-align with our vision to break poverty in Hardin County. Subscribe to stay in the loop of events, announcements, progress, testimonials, and more! WE ARE A COMMUNITY HELPING COMMUNITY. The majority of our support comes from individuals like you contributing on behalf of others who are less fortunate in our community. Without you, Hardin County Jesus Cares does not exist. We welcome all amounts of donations – as a community, we are making a real difference.